Abuja, Nigeria | AFP | Nigerian President Muhammadu Buhari was elected in 2015 on a wave of hope that he could defeat Boko Haram Islamists and turn around a country blighted by decades of corruption and poor governance. But while he will go down in history as Nigeria’s first opposition candidate to defeat an incumbent, his first term was dominated by questions about his fitness to govern. To date, he has not disclosed details about his condition, apart from saying he had “never been so ill” and had to undergo multiple blood transfusions. But after US President Donald Trump reportedly called him “lifeless” after the recovering Buhari visited Washington, his critics found a potent slur. His absence also sparked one of politics’ more unusual conspiracy theories — that he had died and been replaced by a lookalike from Sudan. 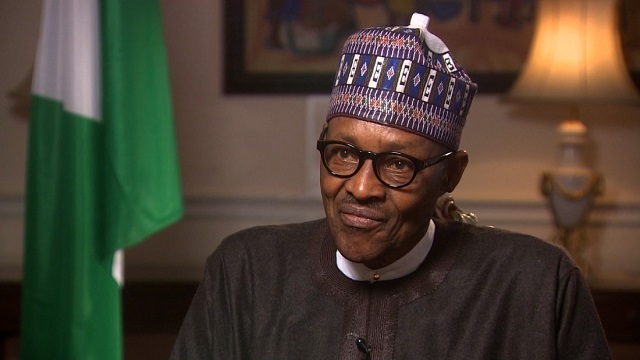 After an appearance in a live televised question-and-answer session in January 2019, one commentator called Buhari “intellectually disabled”. Buhari’s opponents say they have been vindicated for claiming before the last election that he was too old to run and had terminal prostate cancer. But his ruling All Progressives Congress (APC) party dismiss the assertions as smears. How far Buhari’s illness has affected his attempt to end the threat from Boko Haram, tackle corruption, and boost the economy will be a subject of discussion for years. On security, there are worrying signs of a turnaround in initial gains against the jihadists, as the group’s Islamic State-backed faction grows in strength in the northeast. He also touted himself as a “converted democrat” to persuade those with misgivings that his military past was history. But he has struggled to shake off claims of authoritarianism — particularly in his fight against corruption which critics say has been one-sided against perceived political opponents. His main challenger for the presidency, Atiku Abubakar, has accused him of being “dictatorial” for suspending the country’s chief justice just weeks before February elections. Nigerian lawyers said it was an “attempted coup against the judiciary”, as the judge could hear any legal challenges to the result. Buhari came to power largely through the overwhelming support of northern voters, who still see him as a down-to-earth “man of the people”. He has done little to challenge that perception, and is rarely seen in anything other than traditional Muslim robes. He has a reputation for a simple lifestyle. On several occasions, his wife, Aisha, has criticised the so-called “cabal” around her husband, suggesting they held the real power. She has also indicated she would not support him in his bid for re-election, and even retweeted videos of opposition lawmakers criticising the government. Critics, who gave Buhari the nickname “Baba Go Slow” because it took him six months to even appoint a cabinet, complain he has been sluggish to implement policies. Some blamed his economic management after Nigeria’s currency crashed and the country plunged into recession. But to some extent the cause of the crash — the global slump in oil prices — was beyond Buhari’s control, and forced the government to start thinking about diversifying the economy.